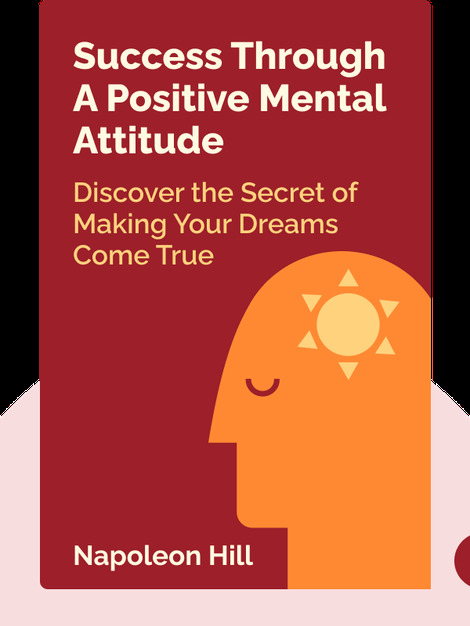 Success Through a Positive Mental Attitude (1960) shows how to achieve the life of your dreams by developing a positive mental attitude. Near the turn of the twentieth century, at the behest of Andrew Carnegie – one of the wealthiest men of his time – Hill interviewed hundreds of famous and successful people in an attempt to uncover the secret to success. This book is one of the outcomes of his findings. Napoleon Hill (1883-1970) was an American author. In 1937, he published the landmark self-help book Think and Grow Rich (also available in blinks), which has sold over 60 million copies.